Are you sick of your plants dying, fed up of being surrounded by wilting and brown-leaved flowers? If so, the problem could be with your soil and water quality. You need the HDE 3-in-1 Water Soil Light Meter Tool with an easy to read and operate scale. Your plants never need fear that you're going to mistreat them again with this scientifically accurate measuring device. 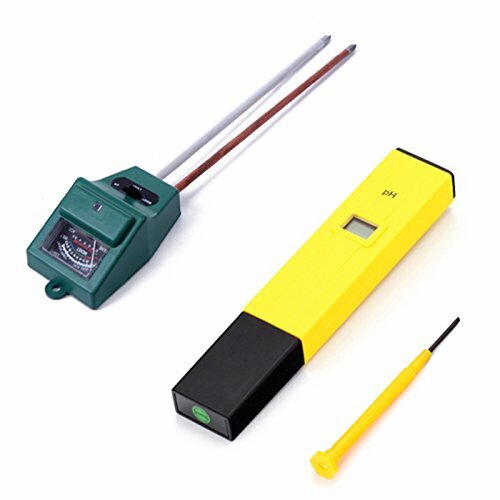 The probes measure the moisture and pH content of the soil, without the use of batteries, from root level and determine whether your plants are ideally situated with regards to their positioning. The moisture meter works with all soil types and is suitable for use with both inside and outside horticulture - simply place it in the soil, set to the setting you wish to measure and read the scale. If you have any questions about this product by HDE, contact us by completing and submitting the form below. If you are looking for a specif part number, please include it with your message.